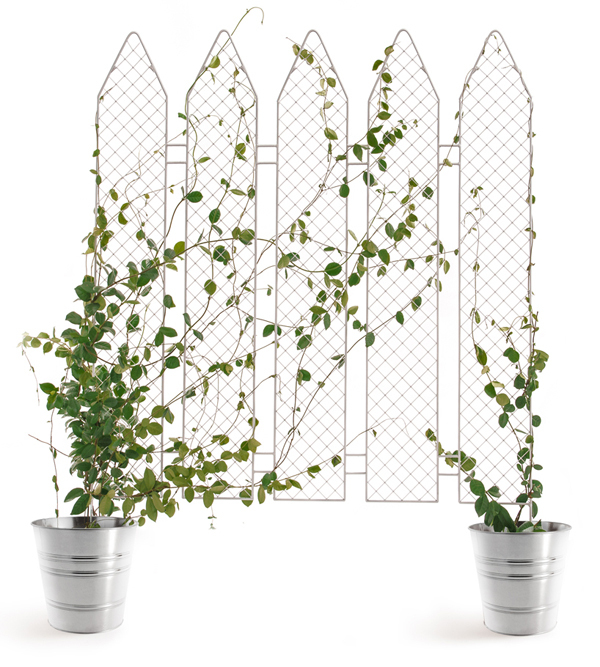 This creative modular fence concept takes from the classic archetypical backyard fence shape, reducing it to a metal lattice framework that’s perfect for your favorite climbing vine. 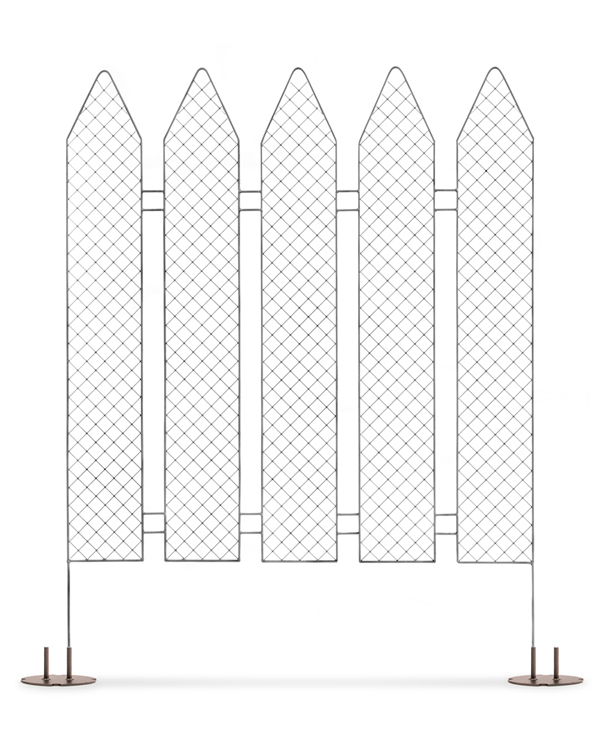 Each partition can be “planted” directly in the soil or in pots, making it easy to install to unique specifications. 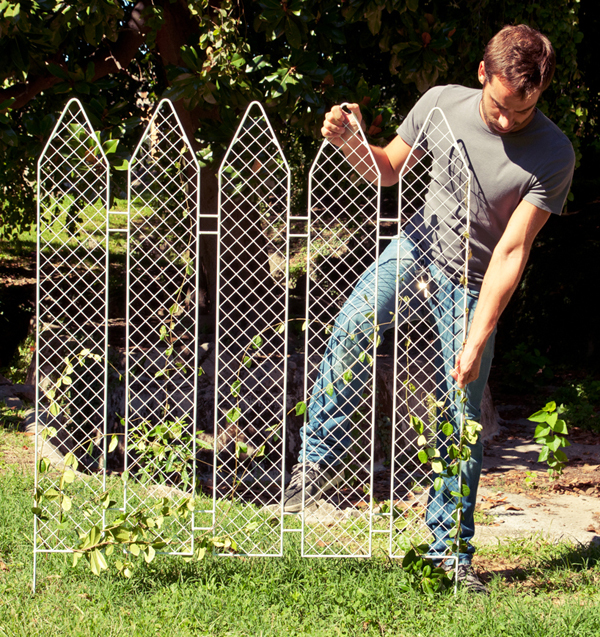 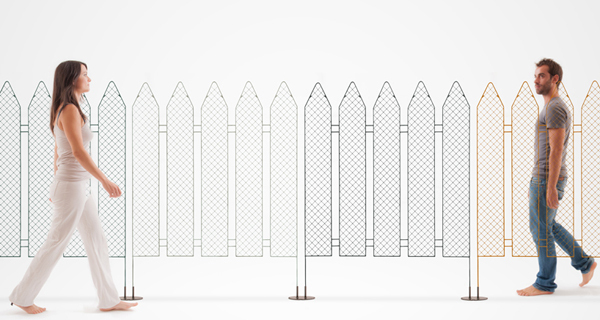 With a little water and patience, you can watch your fence come to life!